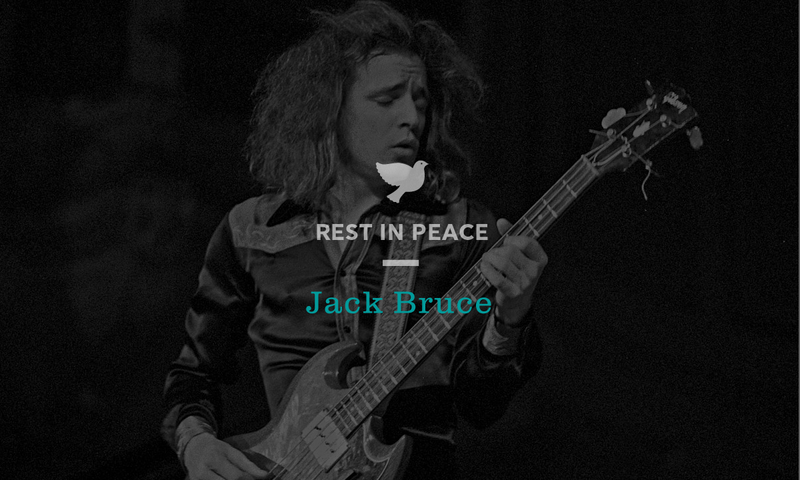 Jack Bruce has died. The influential bassist, known best as co-founder of Cream, was 71. Bruce had a long and winding career that saw him appearing in a plethora of jazz, blues and rock projects, many of them considered “supergroups.” Despite considering himself a jazz musician, he was respected as one of the greatest blues and rock bassists of all time. Born into a musical family in Scotland in 1943, Bruce discovered an interest in jazz in his early teens. He attended the Royal Scottish Academy of Music and Drama but chose to leave due to the school’s intolerance for the then-radical jazz artform. In 1962 Bruce joined Alexis Korner’s Blues Incorporated. He played the upright bass in the band, which also included organist Graham Bond and drummer Ginger Baker. When the group broke up in 1963, Bruce went on to form the Graham Bond Quartet with Bond, Baker, and guitarist John McLaughlin, later renamed the Graham Bond Organisation. Gaining attention for their eclectic, R&B sound, this time marked Bruce’s transition from upright to electric bass. Bruce briefly joined John Mayall & the Bluesbreakers in 1966, where he met guitarist Eric Clapton. Bruce then joined the pop-charting group Manfred Mann for a spell, while also playing in Eric Clapton’s Powerhouse, which also included Steve Winwood. In that same year, Clapton, Bruce and Ginger Baker formed the power trio Cream – so named because they were the best musicians on their respective instruments. 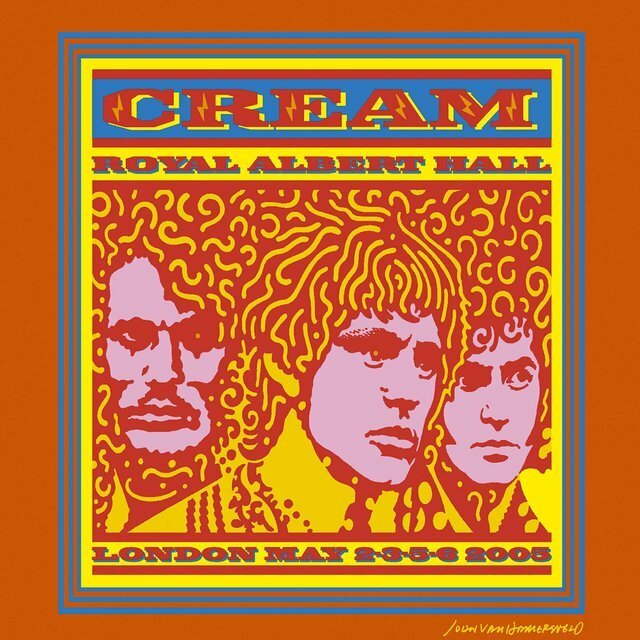 In its two-year existence, Cream released four albums and became one of the most influential bands of its time. Their intimidating hybrid of blues and hard rock made them predecessors to psychedelic, metal, progressive, and generally all rock the came after it. With his frequent lyricist Pete Brown, Bruce co-wrote most of Cream’s hit singles, including “Sunshine of Your Love” and “White Room.” Drug abuse and major tensions between Bruce and Baker forced the band to dissolve as quickly as it appeared. Bruce would never outdo his work with Cream, but he continued an eventful career as a solo artist, collaborator and session musician. His first solo album, Songs for a Tailor, was well received, as was his third effort, Harmony Row. With Leslie West and Corky Laing (of the Cream-influenced band Mountain) he formed blues rock power trio, West, Bruce and Laing, recording two albums. He co-wrote and played on the title to Frank Zappa’s Apostrophe (‘), as well as playing on all but two tracks of Lou Reed’s Berlin. Bruce hit a financial and personal low in the late ‘70s, in part due to his long drug habit, but was back on track by 1980. With Jack Bruce & Friends, he recorded that year’s I’ve Always Wanted to Do This to positive reviews but poor sales. In 1981 he played on the self-titled live album by back-to-roots boogie-woogie project Rocket 88, along with the Rolling Stone’s Ian Stewart and Charlie Watts, and his old friend Alexis Korner. He also played bass on Soft Machine’s final album, Land of Cockayne. He made two power trio albums with Procol Harum guitarist Trower, the former, BLT, was a minor hit. Then began Bruce’s long-running collaboration with Latin music producer Kip Hanrahan. They released several highly acclaimed albums together into the 2000s. Well into his last years Bruce didn’t slow down his activities as a solo artist and collaborator. Subsequent decades found Bruce continue working with a pantheon of jazz, blues and rock royalty, as well touring in several iterations of Ringo Starr’s All-Starr Band. On several occasions Bruce reunited with Ginger Baker and Eric Clapton separately, with proper Cream reunions in 1993, for the band’s induction into the Rock and Roll Hall of Fame, and in 2005 for a small series of shows at London’s Royal Albert Hall and New York’s Madison Square Gardens. Bruce finally conquered his substance abuse additions by the early 2000s, but he was diagnosed with liver cancer in 2003. His health recovered after a life-saving liver transplant in 2004, staying remarkably active well nearly until the end. The failure of his liver would eventually overtake him. He passed away on Saturday in Suffolk, England, surrounded by his family. To celebrate the restless career of this brilliant talent, we’ve put together a playlist collecting just a sampling of his countless projects.